What a shame! Even with the best intentions, we fall short, and feel shame. For example, I’d had a very busy week. Come Saturday morning, I thought I’d get up to speed with all my outstanding financial matters. Just as I heaved a sigh of relief on completion, I received a message chasing up a payment. I could have cried with embarrassment. Fortunately, I have come such a very long way in my personal development. A while back I would have spent a lot of time and energy flogging myself for having been late in the first place, and then having forgotten to settle on my planned catch up day. Then I would have built up a case against myself about forgetfulness, tardiness, procrastination… and been very rude about it all. It would have ended up with me feeling yucky, exhausted and discouraged. (Does this sound familiar to you?) This time, however, I acknowledged my embarrassment, tendered my apologies, settled the bill and had a very good weekend indeed. Shame can be a very painful emotion. It can vary in intensity from shyness (e.g., not wanting to speak to or in front of strangers) through embarrassment (e.g., forgetting something important) to acute mortification (e.g., feeling that there is something fundamentally wrong with you as a person because of an action or omission). Irrespective of the intensity level, one common action tendency of the person experiencing shame is wanting to hide. So, we might not want to show up to a social gathering because we feel shy. We may have an urge to place our hands over our face when embarrassed. Or we might want the ground to open up and swallow us whole. 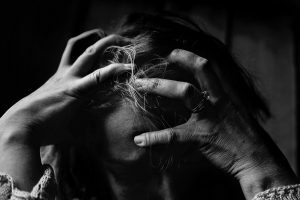 In whatever way it manifests, shame can cause us to want to conceal ourselves, to keep others out, to not engage; and because we are wired for connection, we end up feeling stuck and lonely if we succumb to the dictates of shame. Shame can also make it difficult for us to tell the truth, for fear that we might be rejected. Or thought of in poorer light – judged and condemned. However, telling lies/hiding from the truth and/or masking our vulnerability again interferes with our ability to connect intimately: keeping us isolated and stuck in our difficult emotions. Consequently, we do not own up to our shame, fears, hurts, anger or whatever emotions we deem negative. We keep these close to our chest and do not share them with anyone – even though they might leak out in some way or other. We might put up a brave face, an “I am the strongest” façade or a cloak of superiority. 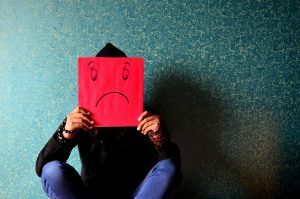 Lack of expression has been shown to be a major contributory factor to depression… but then our shame complex could be such that we wouldn’t want to admit to feeling sad, depressed or spiralling into despair. This is how ordinary – albeit difficult – emotions that we experience by virtue of being alive can end up as a massive challenge to our mental and emotional health and wellbeing. How do you mask your shame? Well, get over yourself! Who are you to not ever forget? Not ever to err? Not to be weak in some area or other? Who says you have to have it together all the time? Are you not merely human? Okay, so you may have received messages (wrong as they were) over time that suggested the contrary, stories that you subsequently internalised and repeated to yourself. You can break that record. Seriously, smash it! If you needed permission to break that record, now you have it! Smash that record and create a new one: one of self-compassion and kindness; one of grace and self-acceptance. This is true humility. Constant self-flagellation isn’t being humble – but, that is a subject for another blog! I do know, however, that it’s not easy for everyone to overwrite age-old scripts, even if they want to. It wasn’t easy for me – so I went ahead and found the support I needed. Now, because of the great counselling relationship I’ve encountered, I can experience shame today and not let it cripple me. I might feel like hiding but can choose to not do so. When I step into the light, that intense shame simply dissipates. Today, I am in a position where I can support others struggling with difficult emotions, including shame, because I have learnt to not run away. . . I have learnt to stay with them and be okay. If this is something you want to learn for yourself, then contact me today – do not let shame hold you back!